A study of safety issues and worker rights in the so-called gig economy has warned that workers paid per delivery are being incentivised to drive in adverse weather conditions and late at night while being penalised when packages are late or cannot be delivered due to sickness. The research, co-authored by Heather Ward of University College London (and co-chair of ETSC’s Road Safety Performance Index (PIN) programme), was presented earlier this month at the ETSC PRAISE conference on work-related road safety. Speaking at the event, Ms Ward described the current situation as a “perfect storm” of risk factors. 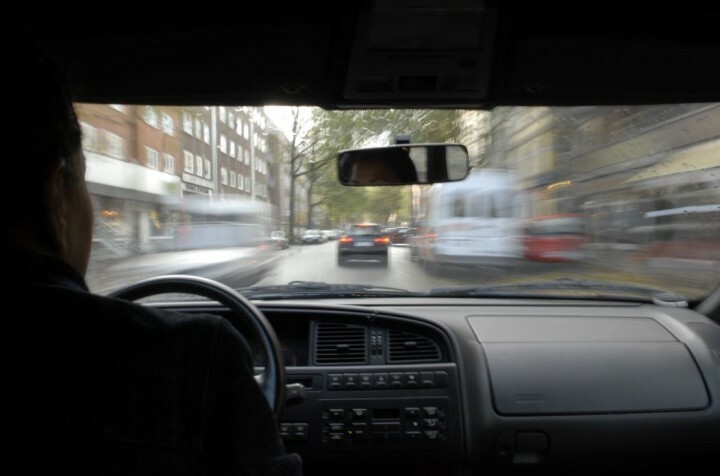 According to the new research, the pressures that come with being a self-employed courier or taxi driver may significantly increase the risk of being involved in a collision. The majority of those workers surveyed – 63 per cent – are not provided with safety training on managing risks on the road. Sixty-five per cent said that they are not given any safety equipment such as a high visibility vest and over 70 per cent resort to providing their own. 48 qualitative in-depth interviews with drivers, riders and their managers were carried out for the study, alongside analysis of 200 responses to an online survey taken by drivers and riders. The participants included self-employed couriers who delivered parcels and food, and self-employed taxi drivers who received their jobs via apps. Over two in five (42 per cent) of drivers and riders reported that their vehicle had been damaged as a result of a collision while working, with a further one in ten reporting that someone had been injured. Eight per cent reported that they themselves had been injured, with two per cent saying someone else had been injured. “Our findings highlight that the emergence and rise in the popularity of gig work for couriers could lead to an increase in risk factors affecting the health and safety of people who work in the gig economy and other road users,” explained Ms Ward. Mobile phones should not be allowed to cause a distraction, after the results showed that 40 per cent of those using an app found them to be off-putting whilst driving or riding. Most of the surveyed couriers on scooters, motor and pedal bikes reported receiving work through an app which played a noise at intervals to alert them to a job with a fixed time window in which to accept. Professor Christie said: “In previous years the UK had a good road safety record, but de-regulation over the last few years has left self-employed couriers and taxi drivers at an increased risk of exploitation. The Health and Safety Executive has regulations on safety at work, but these don’t apply to those whose work takes place on public highways. The research was funded by the UK’s Road Safety Trust.